Holli is a registered trademark and the products are completely manufactured in Kauhajoki and nearby towns in South Ostrobothnia. 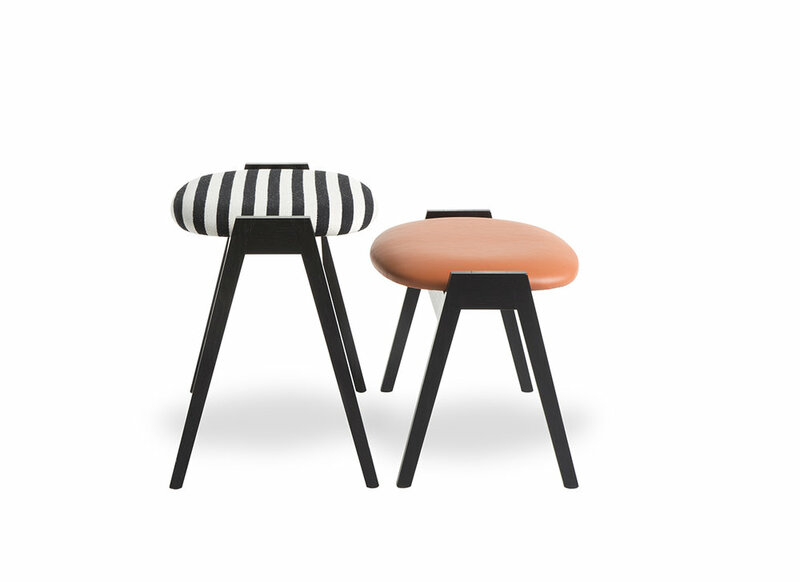 The collection started with the more rectangular Holli A chair and was soon followed by the round legged Holli B chair. 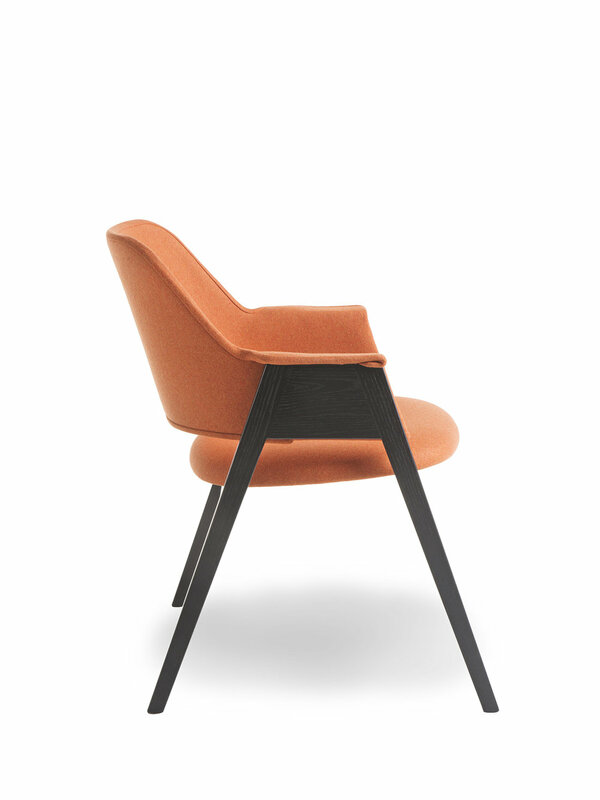 The product family now also includes Libby easy chair, Lobby lounge chair, an ottoman, a stool, tables in different shapes and sizes, and the newest addition, sideboards. On occasion chairs are available with other stain colours and for example painted birch frame. We are flexible to find a solution for your specific project even on small orders. Ask more from your nearest retailer or contact us directly. The solidity, strength and durability of Holli chairs have been certified with SFS-EN standardized test for commercial use (Class 2; Common Commercial Spaces). On occasion tables are available with other top materials. We are flexible to find a solution for your specific project even on small orders. Ask more from your nearest retailer or contact us directly. On occasion tables are available in custom sizes and materials. Conference tables available with built-in cable management. We are flexible to find a solution for your specific project even on small orders. Ask more from your nearest retailer or contact us directly. Holli first started in the early 1990s and the plan was revived again in 2014. In the beginning it was a small and self made project, but it has now been proven that us together with the professional subcontractors can function as efficiently and deliver as reliably as a larger manufacturing company. For the past decades I have mainly worked on designing interiors for banks. I look for different seating options for a variety of needs on behalf of my clients. When many Finnish furniture companies outsourced their production or ownership abroad, I decided to design chairs myself. There is vast knowledge and talent for furniture production in the area and it is flexible to operate locally. 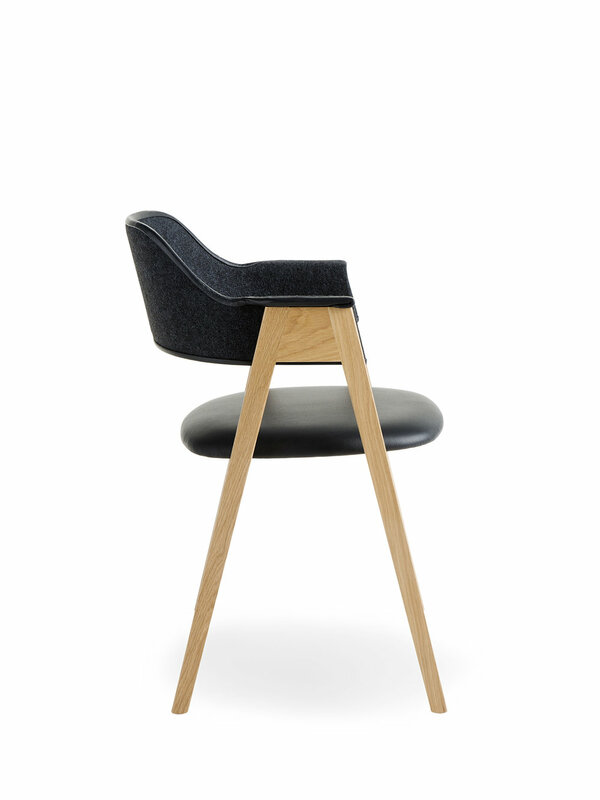 Holli chairs are certified for commercial use and they are utilized in lobbies, customer service areas and meeting rooms, as well as in homes for dining, work and cosy leisure. When a client has purchased a couple of dozen Holli chairs and orders a dozen more after using them for few months, we get a feeling we have succeeded. In making the Holli products we place value in comfort brought by measurements, durability and light weight, flexibility of materials for manufacturing processes and machinery, and affordable pricing. The Holli design is about esthetics and first of all function.